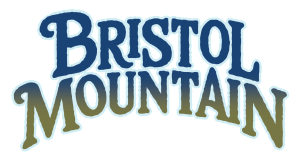 Gather a group of friends, students, or colleagues and have a blast at Bristol Mountain! With 1200’ vertical, a variety of terrain on 35 slopes, six lifts (two high-speed), groomed terrain, night lights, great menu options, and relaxation in our lodges, we have the snow and the services to make your recreation time memorable and fun! Adult, youth, corporate, and nordic packages are available. Choose a package, select a day or night, head to the hills and enjoy! Group pricing qualifies with a minimum of 15 persons with one complimentary lift ticket provided for every 15 lift tickets purchased if booked by December 31st. For groups book after December 31st, the minimum number is 20 persons to quality for a group rate. One complimentary lift ticket is provided for every 20 paid lift tickets. *Beginner class lesson is included with youth lift ticket. Reservations required at least one week prior to the date of your choice. Group coordinator must remit payment (in total sum) with VISA, MC, DISC, check, or cash on the day of your visit. Canadian prices are based on the current exchange rate at the time of purchase. Call 585-374-1134 or email groupsales@bristolmt.com for additional information or to place your reservation.